Don Bennett DVDs feature health movies and raw vegan movies designed to help you thrive in health and life. Prices include shipping. 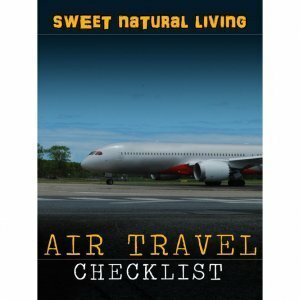 Don Bennett videos feature health movies and raw vegan movies designed to help you thrive in health and life. 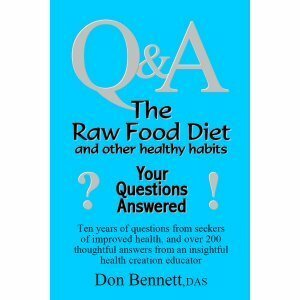 Explore Don Bennett’s offerings with Beginners’ Guide to a Raw Food Lifestyle, Raw Food Diet: Foods That You and Your Body Will Love and The Other Equally Important Requirements of Robust Health. Note: Orders for Don Bennett’s products will be taken by the Fruit-Powered Store and fulfilled directly by Don Bennett. 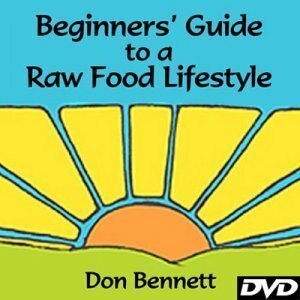 Beginners’ Guide to a Raw Food Lifestyle, a health movie and raw vegan movie from Don Bennett, explores many issues those new to a raw food diet need to know to thrive and not just survive. In Beginners’ Guide to a Raw Food Lifestyle, longtime raw food enthusiast Don Bennett excels at teaching people not what to think but how to think when it comes to making changes that will affect their health. When it comes to optimal health, after all, getting started on the right track is vital if you want to achieve success. If robust health is your goal, these down-to-earth, “tell-it-like-it-is” insights are good to keep in mind when embarking on your learning journey. 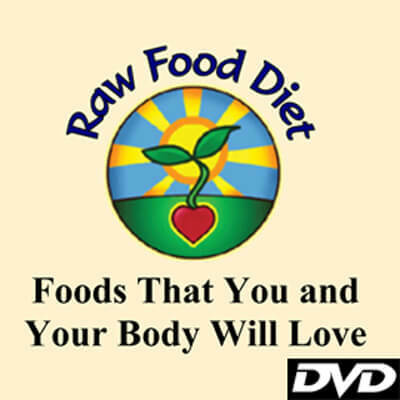 Raw Food Diet: Foods That You and Your Body Will Love from Don Bennett contains two-and-a-half hours of enlightening, empowering raw food information based on hard science. 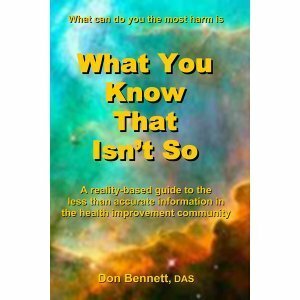 Bring one of today’s leading health-creation educators, Don Bennett, into your living room for honest, straightforward dietary education that will help you improve your health. For optimal physical health and emotional well-being (because of the body-mind connection), logic dictates that we should eat what we’re designed to eat. But what most Americans eat is dictated by industry and social custom, with the result being a decline in health. You can, however, eat foods that nourish and support your body’s efforts at staying ahead of degenerative disease, but the trick is knowing what these foods are, and equally as important, what they are not, even in the vegetarian, vegan and raw vegan diets. 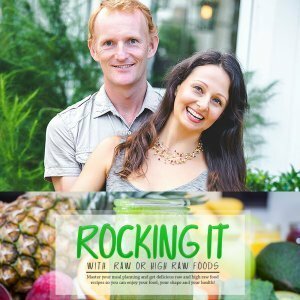 It may surprise some in learning that there is no such thing as “the raw food diet” because there are many variations, some very different from others in the way they can affect your health. If you want long-term health and not just short-term health improvements, you need to know what you’re designed to eat so you can make informed choices that will lead you down a path that will give you the best odds of never getting a diagnosis of serious illness as well as thriving. 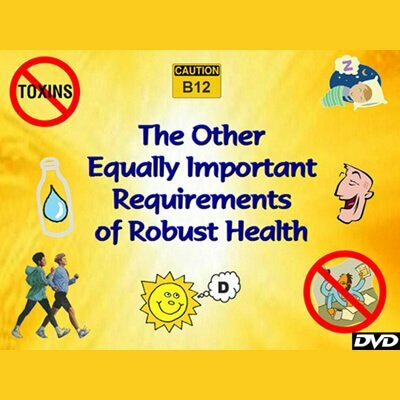 In The Other Equally Important Requirements of Robust Health, Don Bennett highlights that diet is important, but if you’re not paying attention to the other equally important requirements of health, you can’t be as healthy as you are capable of being and thriving. This enlightening video contains two hours of health-creation information at its best. 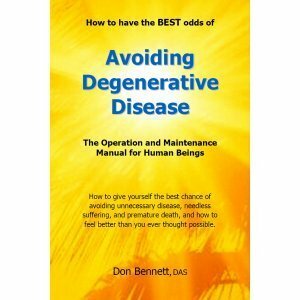 Watch as Don Bennett offers you education so you can improve your health and help you achieve the best odds of reaching your health potential. A healthy diet is great but is only one part of the “formula for health.” If you want real robust health, a vibrant spirit and the best chance of avoiding illness and/or resolving an illness, this film is for you! If you have a solid foundation in healthy eating, what you’ll discover will help you get the most out of life. Without paying attention to the other equally important requirements of vibrant health, it is physiologically impossible to be as healthy as you are capable of being. 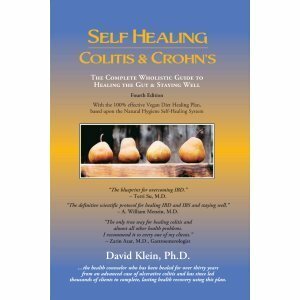 Just as a chain can only be as strong as its weakest link, you can only be as healthy as the weakest link in your “chain of health.” But to know how your “chain” is doing, you need to know some specifics regarding those lifestyle practices that have just as much influence on your health as your diet does. Many health seminars focus on diet, and indeed we have one devoted to it, but this is simply because, of all the aspects of healthy living, diet is the one fraught with the most conflicting information, misinformation and disinformation and, therefore, the most confusion, and that’s why one of our seminars is all about the facts behind healthy eating. But seekers of health need to look beyond diet. Although no one argues about the need for enough sleep and exercise, the “how to’s” and “importance of’s” are missing in many of today’s health curriculums.